Our range of stock number plates has been built up over many years of trading. The sources of our stock number plates include private sales from members of the public, to DVLA and DVA classic auction sales. 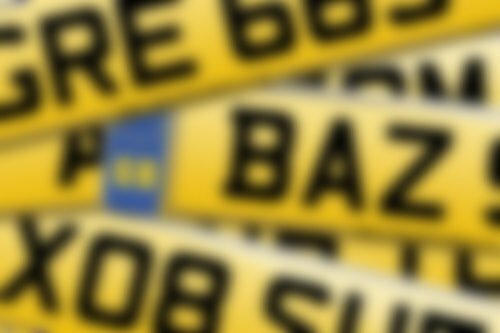 We have an extensive range of stock number plates purchased from auctions or from members of the public. What are the advantages of buying our stock number plates? A great number of our stock number plates are held on retention certificates. This means that, following a sale; the transfer process to get the registration onto the vehicle can usually be completed swiftly - and if the vehicle isn't yet ready to receive the reg, it can remain on certificate until required. Obviously, on our stock number plates we can offer the most competitive price - we are certainly very difficult to insult as a company and will consider any sensible offer! Our stock number plates cover a vast range - from low cost N.I. cover plates, through to top of the range premium dateless marks - give us a call now 01642 363738.